The best moments of entertainment in 2011. 2011 spilled flower power all over the music industry. 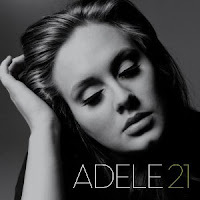 Named for the age Adele was when she recorded the album, 21 was the best-selling album of the year 2011 with 4.8 million sold, according to Billboard. The album was released on 24 January 2011 in UK and sold 2, 08,000 copies in UK and 3,52,000 in USA in its very first week of release. Adele is the first living artist, in nearly fifty years, to have two top five singles and albums in the charts at the same time. Her single “Someone Like You” after being performed at the 2011 BRIT Awards became number one while her album 21 retained the top spot for eleven consecutive weeks, longest ever by a female solo artist on the UK albums chart, breaking Madonna’s nine weeks at number one in 1990. She’s up for six nominations at 2012 Grammy Awards and has already made an appearance in 2012 Guinness book Of World Records. The album has broken the record for the most UK digital downloads and was rated as number one in 24 countries. Clearly, by the record breaking pace she’s going, Adele proves that for a long while there’s been ‘no one like Her’! U2’s Worldwide 360° tour became the highest grossing in history beating the previous record of Rolling Stones in 2005-2007. The tour had been on for two years beginning from 30 June 2009 to 30 July 2011. The Irish rockers crossed the $558 million world record on 10th April 2011 after their concert in Sao Paolo, Brazil. According to Billboard Boxscore, U2’s 360° Tour packs out 63,000 people each show on an average, taking $6.4 million. The royal wedding of Prince William, Duke of Cambridge with his college sweetheart Catherine ‘Kate’ Middleton on 29 April 2011 at Westminster abbey, London was an extravagantly spectacular show. The whole wedding drew global audience with its intricate details been broadcasted live all over the world. The designer dresses, guest list, ornamentations, cake and even the selection of music made rounds in media weeks before and after the wedding. The Royal Wedding was anticipated to be the biggest travel event of the year and thus that day was declared a public holiday in United Kingdom. The anticipation proved to be right as over 5000 street parties held to mark the Royal wedding throughout the United Kingdom and one million people lined the route between Westminster Abbey and Buckingham Palace. In UK, TV audiences reached to 26.3 million viewers with a total of 36.7 million watching part of the coverage. The ceremony was viewed by tens of millions more around the world including 72 million on the YouTube Royal Channel. It topped Google’s Zeitgeist 2011 search list and without a doubt was one of the best moments to have garnered all media attention. 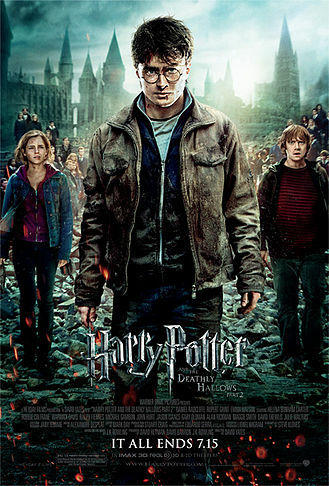 The colossal success of “Harry Potter” series had a major extension in 2011 with its last and final instalment - “Harry Potter and the Deathly Hallows: Part 2”. It spelled magic all over the box office with its 43.5 million dollars collections, beating the records of “Twilight: Eclipse” and “The Dark Knight". The Harry mania started on 4 November 2001 when the first movie of the series had released. This final sequel was released in 2D, 3D, and IMAX cinemas worldwide from 13-15 July 2011. The Harry Potter series enchanted and mesmerized the audience who practically lived through the journey of Harry Potter for 10 whole years. The film is currently the third highest grossing film of all time (behind Titanic and Avatar), the highest grossing film of 2011, the highest grossing film in the Harry Potter series, and the ninth film ever to gross over $1 billion. The year 2011 witnessed some very popular viral videos. Rebecca Black’s single debut “Friday’ created an “overnight sensations”. It was released as a single on March 14, 2011, by Ark Music Factory and by March 21, 2011, the "Friday" music video had been viewed more than 30 million times on YouTube. Black even gained international attention as a ‘viral star’. The viral impact was re-instilled all over the world with the Indian song ‘Why this Kolaveri di’ becoming the most searched video in November 2011. The song was aired on 16 November 2011 and it instantly became viral on social networking site for its quirky “Tanglish” (portmanteau word of Tamil and English) lyrics. Within three weeks of its release, the song spread like a wild fire on the social networking sites catching the attention of global audience. It received more than 20,341,650 views and 167,212 likes which were increasing every minute. YouTube honoured the video with a Recently Most Popular Gold Medal Award for receiving a large number of hits in a short time. It was also named the Best Song of 2011 by CNN. And if you were thinking that only songs and albums become viral hit, then you are in for a big surprise. "The Force" Volkswagen Passat commercial became a viral hit and the most watched car commercial of 2011. The video was leaked online a week before it went on air on Super Bowl Sunday, and by its official TV airdate, over 8 million people had already watched it. It is the biggest viral video of 2011 with an approximate 44.5 million views. The movie ’The King’s Speech’, released in 2010 and directed by Tom Hooper, was a major box office and critical success. The historical drama film was widely praised by film critics for its visual style, art direction, and acting. It won four statuettes at the 83rd Academy Awards and was nominated for 12 Oscars, more than any other film. It won the Academy Award for Best Picture, Best Director, Best Actor, and Best Original Screenplay. 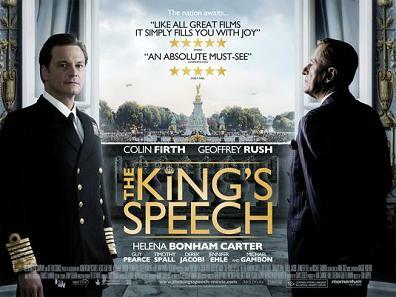 Colin Firth, who played the stammering British King George VI, took away the best actor prize. Also, the film had been nominated for 14 BAFTAs, more than any other film. The lead actor Colin Firth won practically every award for his role as George VI. A direct sequel to battlefield 2 is a first person shooter video game. It was released in North America on October 25, 2011 and in Europe on October 28, 2011. The game was highly anticipated and according to its developer EA Digital Illusion CE it delivered 3 million pre orders by the day of its release. The game sold 5 million copies in its first week of release breaking all previous records. 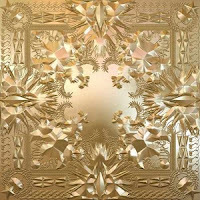 When Jay-Z and Kanye West asked people to “Watch The Throne”, people did watch. Reckoned as the most successful concert of 2011, it became a worldwide furore. It ranked number six in “Top 50 Albums of 2011”, number nine on “The A.V Club” list and number three on Claire Suddath list. The album was certified platinum by the Recording Industry Association of America and, till December 2011, had sold 1,230,000 copies in the United States. It has been nominated for 2012 Grammy Awards for Best Rap Album and Best Recording Package. 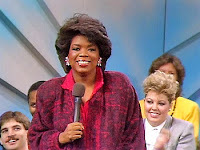 The year saw the end of longest-running day time television talk show in United States and in television history- The Oprah Winfrey Show. The No.1 talk show in American television history since its debut in 1986 ran for 25 seasons. As of 2011, it was one of the longest-running daytime television talk shows in the United States and in television history, having run nationally since September 8, 1986 for 25 seasons and 4,561 episodes. The final episode aired on May 25, 2011, featured appearances by Aretha Franklin, Tom Cruise, Stevie Wonder, Beyoncé, Tom Hanks, Maria Shriver, Will Smith, and Madonna. The final episode received the show’s highest rating in 17 years and was shown in movie theatres. Disclaimer: The above list is a generic compilation of events drawn from information found in the public domain. Widescope is not involved in or associated with any of these events either directly or indirectly. The following blog entry is written by Sumit Verma who is Online Sales Operations Analyst at Facebook, India. As India reaches 100million Internet users, 3rd only after China's 300 million+ and USA's 210 million users, more and more focus will be on how to attract this audience. This is not only from a web locus, but also from pure marketing perspective. Imagine, if luxury brands like Gucci and Vero Moda can open exclusive show rooms in this country which offers them such a limited audience, how can marketers afford to evade a medium, which has now reached millions and growing at an ever-rapid pace? Social Media Marketing is relatively a new term in India as compared to digital marketing (this includes all the 100 million users I have mentioned above). Banner ads on our favourite website home page are not very uncommon. But when it comes to social media marketing, there's still some way to go before we ourselves understand its intricacies, the power it beholds and the risks it inherits. Its exactly like the human brain, we all know its capable of brilliant things and yet we fail to comprehend it in absolute terms, and if it falls in the wrong hands (not literally), can even plan to destroy the world! Let’s take a look at some numbers first. Out of estimated 100 million users; about 30% of this population is on some or the other social network. Facebook, 'the social network' has an estimated 18 million+ users in India. Orkut, once the reigning king of social networking in India, has been witnessing a downfall in its popularity for the past couple of years, its official tally stands at 17 million. Twitter is catching up with its counterparts, but since it’s a micro-blogging site, it comes with some inherent limitations like no 3rd party applications etc. It stands at around 5 million users in India. LinkedIn, the professional social network is also doing pretty good with 8 million users. Plus we have our own India born social networks like ibibo, bigadda etc. New players like Foursquare, Quora are also foraying in this arena, offering something unique (Foursquare is location based and Quora is question-answer based discussion). All these numbers tell us that there is a sizable number of people that one just cannot ignore. 600 million – People on Facebook at the end of 2010. 250 million – New people on Facebook in 2010. 30 billion – Pieces of content (links, notes, photos, etc.) shared on Facebook per month. 70% – Share of Facebook’s user base located outside the United States. 20 million – The number of Facebook apps installed each day. Of course, when you look at the percentage wise breakup, things look paltry. Internet penetration, at best is still 10-12% while mobile penetration is around 65%, reaching even 85-90% in metro cities. However India's population is such that even a small percentage takes shape of a big number. And that's exactly where the catch is! If this small percentage is giving you such a huge audience, imagine the people waiting in queue to join the bandwagon. It is the mobile penetration that can really be used to stimulate this process. More and more people are now using their handsets to surf the Internet, and this number is increasing exponentially. Social media can do what no other form of advertising or marketing could do so far. Let the customer know that the BRAND cares for them, it listens to individuals and it is them who have the power. All global behemoths are now very active on all social platforms. Coca-Cola, Apple, McDonalds etc. come to mind as the most prominent ones. Social media marketing is much more than just creating a fan page or tweeting, it’s about engaging the customer. Recently one of my friends had tweeted something she found annoying about a leading cellular service provider. I even joked about it on the site that why you are mentioning the operators name ‘Are they going to listen?’ But, to my surprise, they did!! About 10 days later, she received a tweet from the CSP stating that they'll be glad to have any more feedback in the future. They have even started following her tweets! Being social by nature, people tend to communicate, engage and build relationships with social networking. Thus I feel there can be no better place to interact with consumers. It is, in fact, one of the most cost-effective and lasting brand-building medium for any marketing campaign. We currently might not have enough success stories to go on and on with case studies of social media marketing, but its just a matter of time before organizations realize that this is one field where you can't just buy the best spot and sit calm. You have to make your way through and unleash the consumer power, which eventually is the organizations core strength. It's like the brain, we all know it’s capable of amazing things…just have to figure out our own way, each of us. “Today, after more than a century of electric technology, we have extended our central nervous system itself in a global embrace, abolishing both space and time as far as our planet is concerned.” – said Marshall McLuhan back in 1962. Taking cue from this idea of a unified global community, the Indian chapter of AIESEC, the world's largest student‐run organisation fostering youth leadership development, came up with their event `Global Village’ – a platform to canvass the concept of unity in diversity that has bound mankind over the ages, across nations. We at Widescope have consistently worked towards associations and partnerships that speak for a universal ideology. And hence the media tie up with Global Village was but imminent. 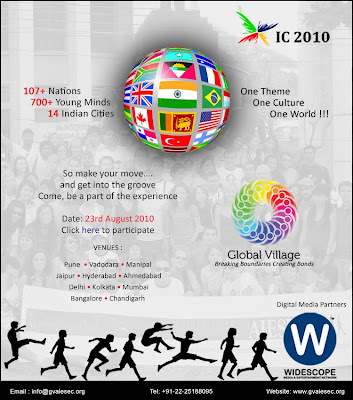 Widescope planned, formulated and executed an aggressive digital media campaign to promote Global Village 2010, which covered the online networking platforms like Facebook, Twitter, MySpace, YouTube and more. It also designed and channelized a meticulous online communication for the event. 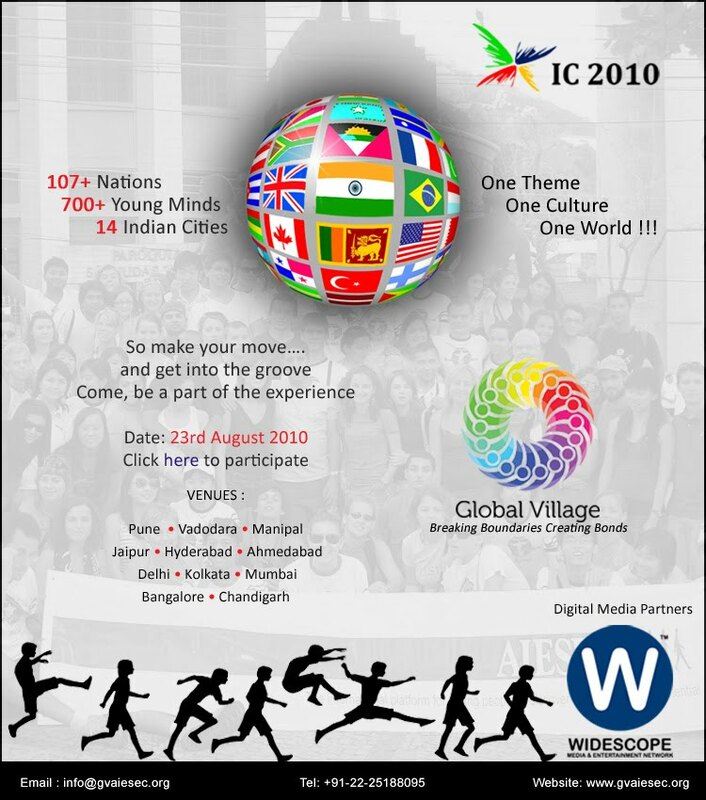 With delegates from as many as 107+ countries and participation of over 200 Indian undergraduate students and selected invitees from 14 Indian cities, Global Village 2010 was a huge success! And so was the Widescope - GV partnership.